It was another banner season for Baltimore basketball. City programs Lake Clifton, Patterson and Poly captured state public championships while St. Frances Academy won the MIAA A Conference and Baltimore Catholic League Tournament championships. Adrian Baldwin was the driving force behind St. Frances’ championship double. The junior guard is VSN’s Boys Basketball Player of the Year. Sam Brand guided Poly to a historic championship season. The 9th-year leader is VSN’s Coach of the Year. Adrian Baldwin was again the proverbial straw that stirred the area’s best private school squad. The junior point guard is Varsity Sports Network’s Boys Basketball Player of the Year. 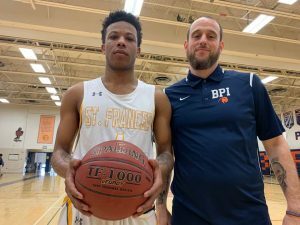 The 6-foot lefty point, nicknamed Ace, averaged 14 points, 6 assists, 4 rebounds and 4 steals for St. Frances (36-7 overall), which swept the MIAA A Conference and Baltimore Catholic League postseason. The East Baltimore school was the first team to claim the MIAA A and BCL tourney crowns since 2015 (Calvert Hall). 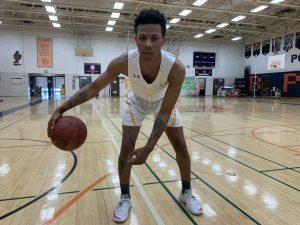 Baldwin, who assumed the leadership mantle from Elijah Epps (Bowie State University), helped promote a team-first mentality on a deep and talented St. Frances roster. Baldwin played his best in the Panthers’ biggest games. He had 28 points and six assists in St. Frances’ victory over Mount St. Joseph in the MIAA A final. In the BCL Tournament final, Baldwin hit a pull-up 3-pointer as time expired, giving the Panthers a 71-68 victory over St. Maria Goretti. Baldwin was named tourney MVP for the second straight season. Baldwin relishes taking the big shot. “He lives for the moment,” said Myles. A two-time All-MIAA A selection, Baldwin became the sixth player to win consecutive BCL Tournament MVP honors. Baldwin recently gave a verbal commitment to Virginia Commonwealth University. Sam Brand continued leading Poly High basketball to new heights. 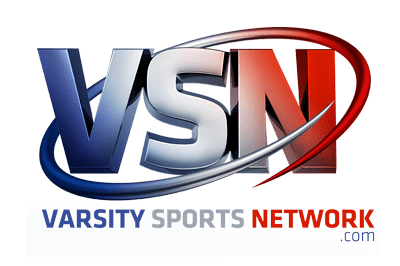 Brand is Varsity Sports Network’s Boys Basketball Coach of the Year. The Engineers (22-5 overall) became the first program to win three consecutive Class 3A state championships. Poly joins Dunbar, Lake Clifton, Patterson and Southern (now Digital Harbor) as Baltimore City programs with 3 or more state championships. Long an afterthought in basketball, Poly (No. 2 in VSN’s final Top 20) is arguably the city’s top program. 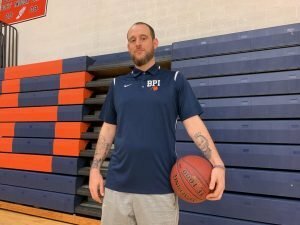 Poly, which won its first city title in 2016 (won again in 2018), was the favorite entering the 2018-19 campaign. The Engineers lost to eventual city champ and No. 1 Patterson in overtime, costing them a spot in the city final. Poly, which blew a 16-point fourth quarter advantage, lost one game the remainder of the season. The Engineers defeated MIAA A Conference and Baltimore Catholic League champion St. Frances Academy, BCL Tournament finalist St. Maria Goretti and 1A state champ Lake Clifton during the season. Brand said senior Amani Walker and juniors Rahim Ali and Justin Lewis emerged as leaders for an underclass-dominated roster. Brand credited assistants Anthony Fitzgerald, Kenny Wood, Mike Turner, Larry Tucker and Teyon Crudup. Fitzgerald, Crudup, Wood and Turner are Poly graduates. Since 2012, the Engineers have won three state titles, two city titles and reached four state Final Fours. In nine seasons, Brand is 159-68.